Naijatreks | Upcoming Adventure Hiking Trip from Naijatreks: Oke-Ado Mountain and Igbo-Ora Town… Place Your Booking Now!!! TOUR DURATION: One (1) Day. War that took place in times of old, during which the people discovered the lake. It was at this time that the people also found out that the water from the lake has healing powers as they used it for different medicinal purposes. To access the lake, one will have to climb through 369 steps leading up the mountain. Aside the lake, other attractions on the mountain includes the mysterious Ishagi Rock Formation, Elephant tree and the “Elder’s Footprints”. The Ishagi Formation is a big boulder of rock which is mysteriously supported underneath by a very small boulder, which is believed to have spiritual influence on anyone who prays at its foot. The Elder’s Footprints is a set of small foot-sized depressions on the rock surface believed to have been supernaturally created by the ancestors of the people. So amazing it is to know that there is a place in Nigeria where exists the largest population of twins in the world. This place is Igbo-Ora, small village in Oyo State, south-west Nigeria, more twins are born in Igbo-Ora than anywhere else on earth and that there are just few households who do not have at least one set of twins in their family. This has also been shown by birth statistics which stated that there are 158 twins per 1,000 births in Igbo-Ora, while in Europe there are five twins per 1,000 births. The village of Igbo-Ora has become popular all over the world for this interesting occurrence. The people of Igbo-Ora attribute the predominance of twins in their land to their indigenous Àmàlà and Ìlasà meal. Àmàlà is a popular morsel meal made from yam powder and is popular within the SW region of Nigeria, while Ìlasà is a special okro soup indigenous to Igbo-ora community. From our rendezvous point in Lagos Island, Lagos, the tour group will transit down to Ado-Awaye town, in Oyo state, southwest Nigeria, where the group will begin a guided ascent of the mountain. The hike up the mountain is expected to take a little over an hour. After exploring the attractions at the mountain top, the group will descend the mountain and transit to Igbo-Ora town which is a few kilometers from Ado-Awaye, where the group will have the opportunity of meeting some twins in the village and experiencing the delicious local amala and ilasa delicacy of the people. For those who wish to go on this trip and still have time to fulfill some other engagements on Saturday evening, we aim to be back in Lagos by 6pm that same day. Destination: Oyo State, Southwest Nigeria. Rendezvous Point: Lagos Island, Lagos (specific details will be included in the final trip dossier sent to trip participants). *Cost covers all transportation (to and from rendezvous point), entry fees into tourist attractions, and tour guide. 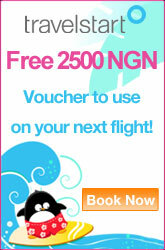 *After making your payment, kindly send an email notification to tours@naijatreks.com. Online transfers are also accepted, however, make sure you keep a copy of your transaction details such as bank tellers, online transfer confirmation pages etc. Feeding: We shall be having pot luck on the trip, so we encourage participants to come along with foods, snacks, fruits, drinks etc. for the tour group. In addition, Naijatreks shall provide some food packs for trip participants. Kindly spread the word for us. Interested participants should send us an email to tours@naijatreks.com or call +234-7037910923 to make reservations or other inquiries. Yaaaaaaaaaay. After been a silent follower for too long a time, I am coming along. I am excited. looking forward to a memorable experience.